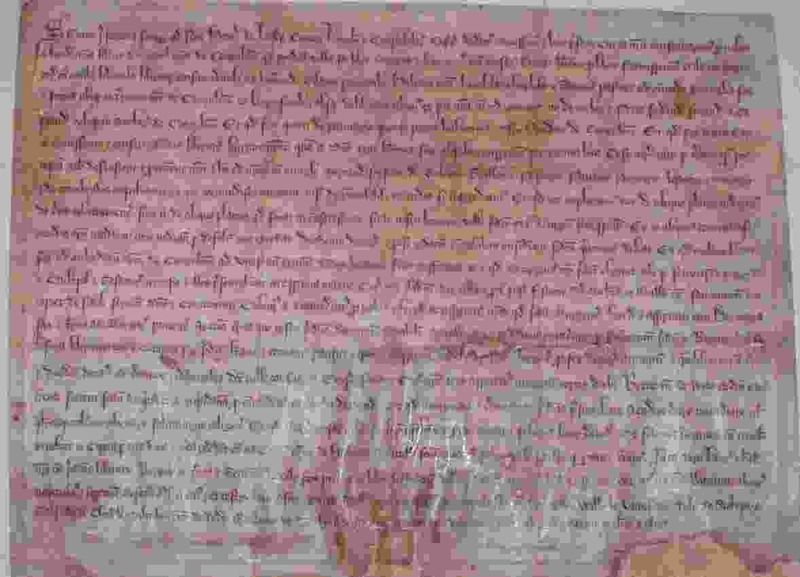 Congleton's charters of liberties are well known to historians and the general public. The first dates from the late thirteenth century and the series extends into the early modern period. What is less well known is that a large collection of medieval and early modern charters, indentures, and other property deeds is also preserved in the Town Hall strongroom. Most of these concern properties in Congleton itself. Some, however, relate to a number of places in South Cheshire and Staffordshire. They were conserved and mounted in four folio volumes in the nineteenth century, and the curate of Biddulph provided translations of most of them on adjoining pages. However, they were never published. The Congleton Borough Charters Project, directed by Dr David Roffe for the Congleton Museum Trust, aims to produce an easily accessible 'calendar', that is a summary translation, of these documents. The existing translations are now being transcribed, and when they are in a machine readable form they will be checked against the originals. It is hoped to publish the calendar in the next year or so. The working texts are available on line. A preliminary analysis was presented in the Town Hall in May 2002 as part of National History Week.